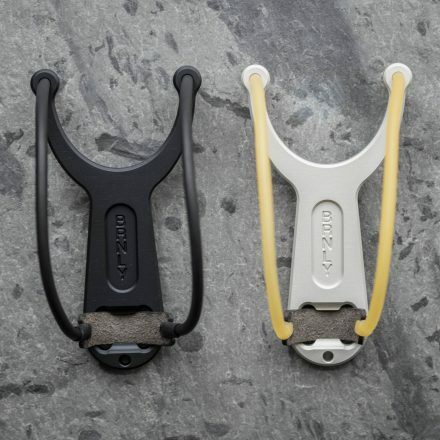 The BRNLY SlingPop is a durable, if expensive ($125 – $140), slingshot. Made of 6061-T6 aluminum which is deburred, smoothed, and glass bead blasted, the SlingPop is lightweight and compact in size. It also comes with a bottle opener built into the handle. Available in Clear or Black anodized finish. Designed and made in the USA. This entry was posted on Wednesday, February 1st, 2017 at 19:00	and is filed under Weapons, WTF?. You can follow any responses to this entry through the RSS 2.0 feed. Both comments and pings are currently closed. no entiendo como en el mundo puede existir personas con un nivel tan alto de ignorancia, porque referirse de ese modo al libro de texto, que es el que engrandece a la humanidad es mucho. es por esa razón que hoy estamos viendo personas con la cabeza bacía en su totalidad. I intended to write you a tiny note so as to say thank you again on the beautiful things you have discussed in this article. It was certainly wonderfully open-handed with you to present unreservedly just what most of us could have offered for sale as an e-book to end up making some dough for their own end, most notably considering that you might have tried it if you wanted. The ideas additionally worked like a great way to recognize that other individuals have similar keenness really like my own to learn somewhat more with regards to this matter. I think there are a lot more enjoyable occasions in the future for many who read your site.